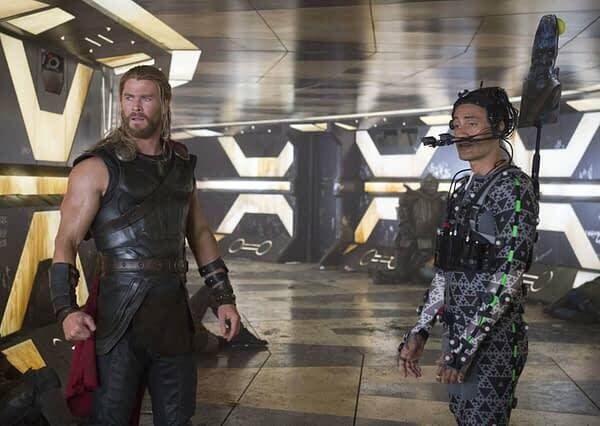 Taika Waititi Tells MTV Awards Nominating Him Was "Big Mistake"
This morning MTV announced their selection of 2018 MTV Award nominations, and one of the nominees thinks his being included is a big mistake. But Taika, we love you! Nominee Tiffany Haddish will be hosting the event, which is set to take place on June 18th 2018. Jason Momoa Teases Art Makin' with Taika Waititi Over Guinness, 'Aquaman 2' Maybe? [Grammys] Why Isn't Solo Artist of the Year Nominee Lorde Performing Tonight?